StartIsBack radically improves desktop usability and makes new Start screen clutter-free. StartIsBack is fully native lightweight zero-privileges program, cheap and fair, fast, stable and secure. Your session would start with the desktop. Always. Unlike other solutions, StartIsBack goes directly to desktop every time without flashing Start Screen even for a millisecond. 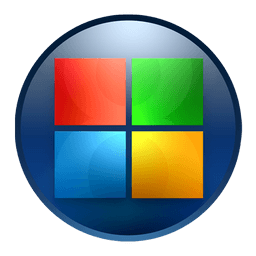 StartIsBack restores original Windows 7 start menu with all its features: search, drag&drop, pinned and recently used apps, fully customizable settings. Start button and Start menu look and behave exactly as they used to in Windows 7. StartIsBack is the only tool which is able to provide consistency in Windows 8 by separating desktop and modern programs. Real work is done on desktop while new Start screen turns into launcher for modern apps only. Windows 8 forces you to organize new Start screen which can quickly become a long list of mess with automatically pinned programs. This is no longer the case with StartIsBack. If you turn Start screen into Apps screen, you won't have the pain to manage two Start places. StartIsBack does not run any additional services or programs. It integrates into your computer smoothly. It does not require any other tools or frameworks to install and can be installed without administrative privileges. Start menu is fully localized into your language with same metrics and names Windows 7 had. StartIsBack allows you to configure many aspects of appearance and behavior of Start menu and Modern UI elements. This is done in most reliable way, within attractive and easy configuration UI. Plus there are additional taskbar icon tweaks available. StartIsBack now can enable old mixer and sound settings for sound tray icon in 19H1: set EnableMtcUvc (Google it) to not 1.